Looking for some super simple wedding beauty tips that don’t take a lot a time? Sometimes there aren’t enough hours in the day to get everything done when you are wedding planning. We’ve all been there. So why not make the most of the time you DO have by multitasking? Even if you’re tied to your desk from 9 to 5 (and then some), there are things you can do from the comfort of your swivel chair to ensure you look and feel your absolute best by the time your wedding day comes around. Sometimes doing two things at once IS a good idea. 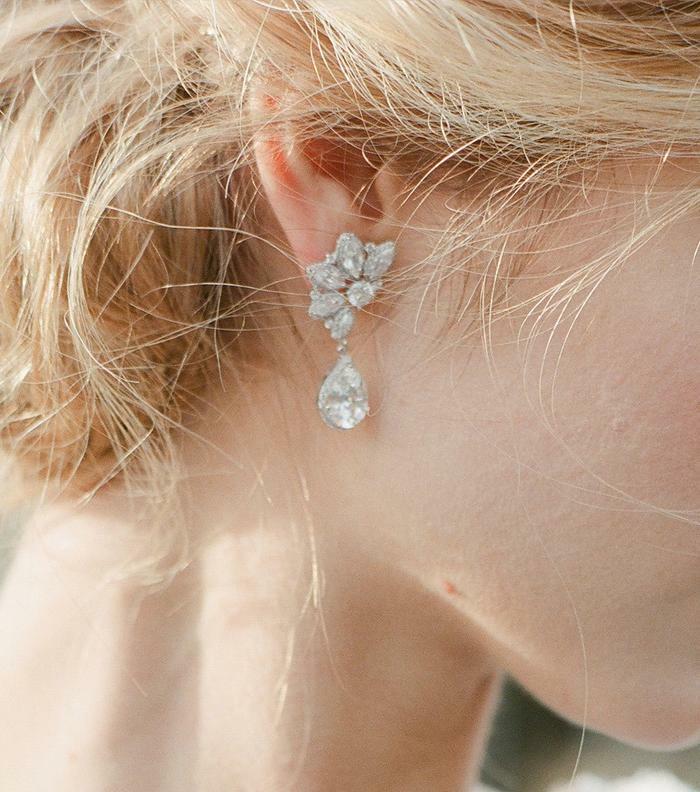 Here are some ways to wedding prep with our wedding beauty tips. 1. Work on your posture. Swap out your desk chair for a yoga ball! It’s not only a great way to work on your posture and improve your back’s alignment, but you’ll also engage your core more throughout the day. When you’re posing for pictures with your partner, you won’t have to worry about whether or not you’re standing up straight; perfect posture will just come naturally after all that practice! 2. Stretch your legs. We know you’ve heard it before, but a quick two minute break now and then will do wonders for you both physically AND mentally. Walking around will relieve stress in your joints, elongate your muscles, and will get the blood pumping. You’ll definitely be thankful you took those short pauses throughout the work week when you’re going on hour three of walking around in those heels. 3. Moisturize your hands. Keep hand lotion at your desk and be sure to use it often! Regardless of whether you’re attending your own engagement party, meeting your girls for a drink or walking down the aisle, you’ll want to make sure your hands are looking their best. They’re going to be getting a LOT of attention over the next few months, after all. 4. Do some deskercises. If you find yourself sitting at your desk for a few too many hours or making endless amounts of copies at the copy machine, take advantage of that downtime! Deskercises will help make sure you’re in shape for the big day whether you can get to the gym or not. Desk squats and cubicle dips for everyone! 5. Whiten your teeth. You know those days when all you’re doing is responding to emails or putting your head down and working on a project? Pull double duty by whitening while you work! Bring a box of teeth whitening strips to work and pull them out whenever you have 30 minutes to yourself. We really love this teeth whitening kit to make your teeth extra white! 6. Hydrate, hydrate, hydrate! Growing up, your mom probably told you to drink 8 glasses of water a day. Well, she was right, Loverlies! Drinking water is not only essential to your health and well-being, but it will also help you get glowing skin for the big day. Looking for other wedding beauty tips?